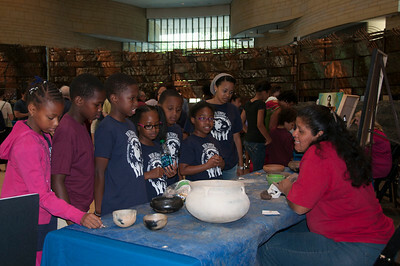 Students from the Reid Temple Christian Academy of Glenn Dale, Md., learn about traditional Choctaw pottery from Amy Thompson. 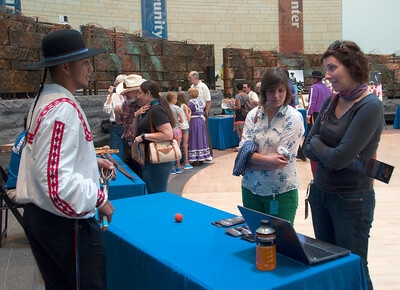 Emma Strongin and Kelly McHugle are inquisitive about stickball, and Billy Eagle Road is ready to answer all the questions. 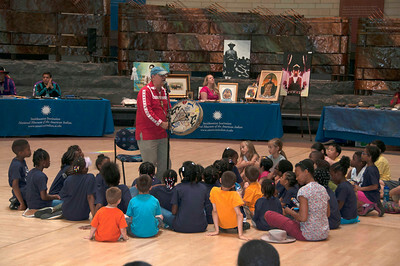 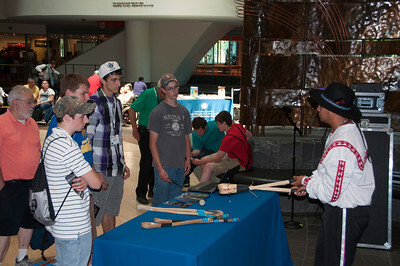 Billy had a steady crowd ready to learn about the traditional Choctaw sport. 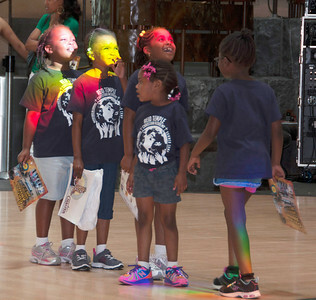 Prisms placed in the window of the museum created a unique rainbow light during the afternoon, of which the youth promptly took advantage. 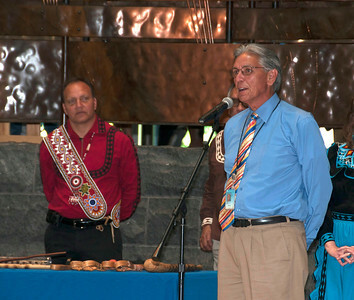 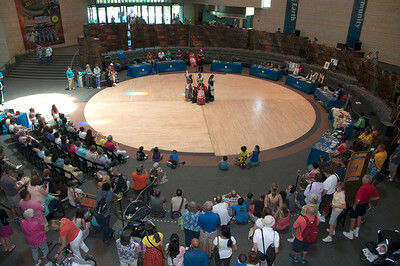 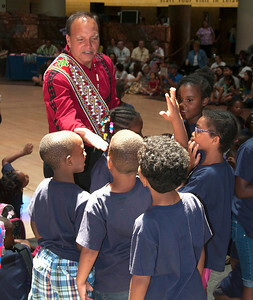 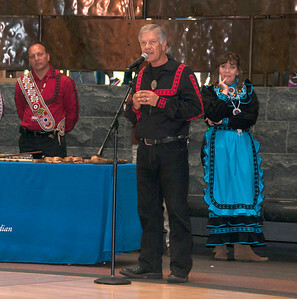 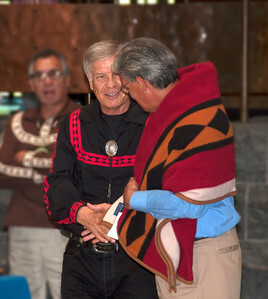 Museum Director Kevin Gover expresses his excitement to see a third installment of Choctaw Days. 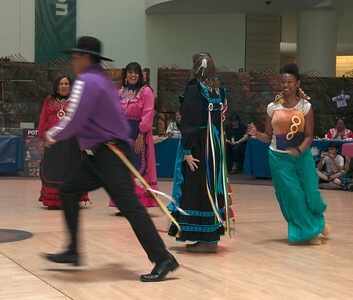 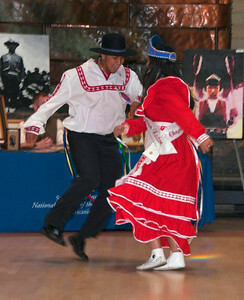 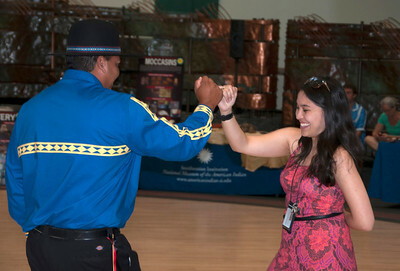 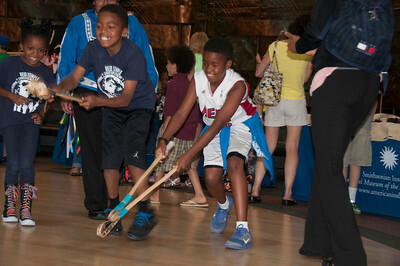 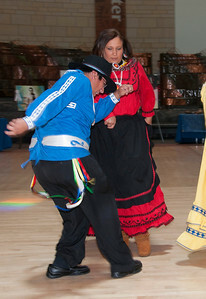 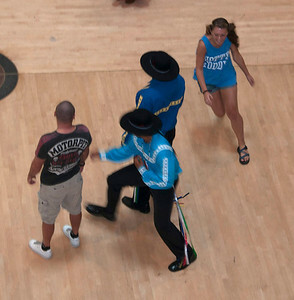 Maimouna Youseff chases Mike Scott during the Raccoon Dance. 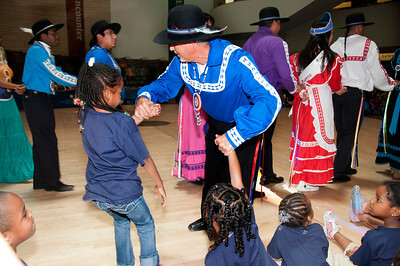 Larry Wade finds a couple of partners for the Stealing Partners Dance. 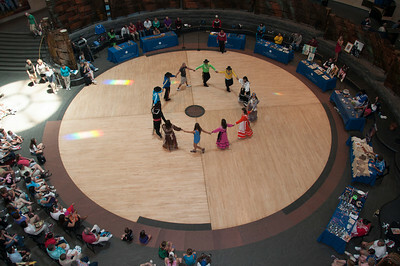 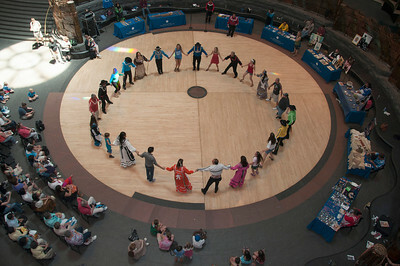 Seth Fairchild leads the friendship dance with Kayla Costigan of Boston, Mass. 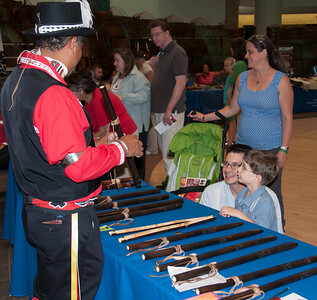 Brad Rauh, with his Lewis of Clemson S.C. learn about Choctaw flutes from flute maker Presely Byington. 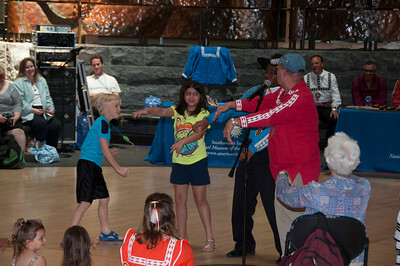 Mike Scott shows Kendall Masada how to do the Wedding Dance. 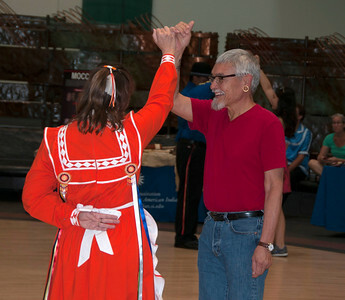 Joe Watkins, along with Judy Allen, raise their hand in the air to signify the end of the Wedding Dance. 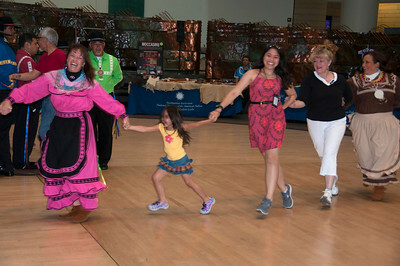 Everyone gets excited during the Snake Dance. 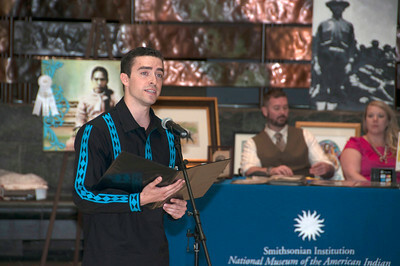 Dr. Ian Thompson tells about Choctaw food and traditions. 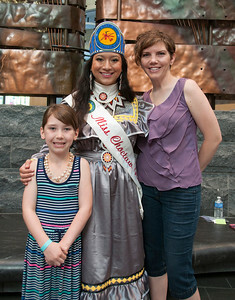 Eden and Sara Foley grab a picture with Miss Choctaw Nation, Cheyenne Murray. 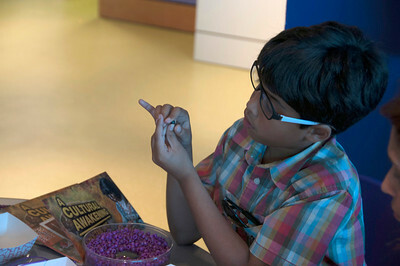 Rehan making great progress on his beaded turtle. 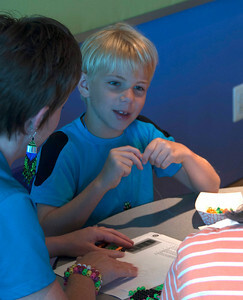 William Mochel learns to bead a turtle. 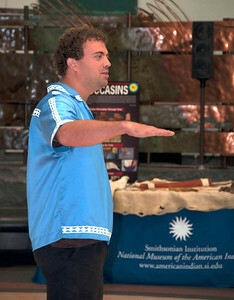 Salaar demonstrates concentration as he slips thread though his bead. 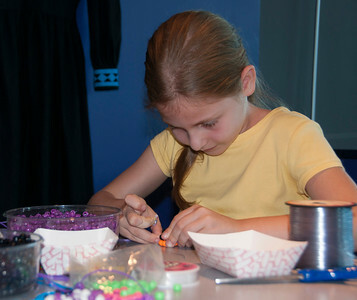 Julia Gelfond finds that it would be helpful to have more hands when beading. 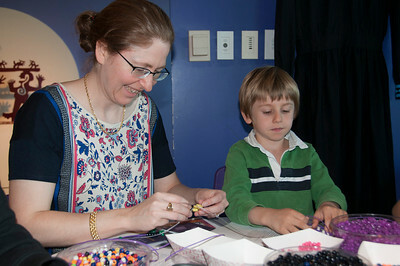 Rebecca and Max Gelfond work together on their beading projects. 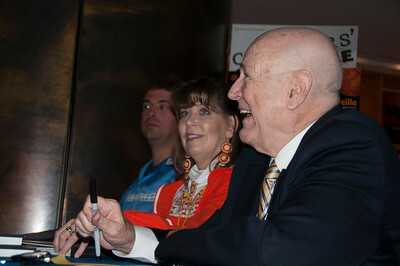 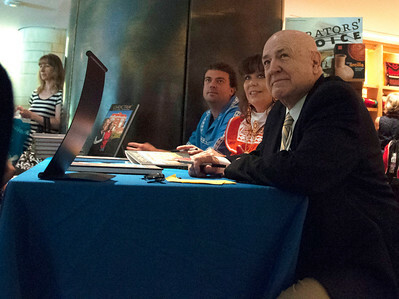 David Fitzgerald, photographer for "Choctaw: A Cultural Awakening" enjoys answering questions about his work at the book signing. 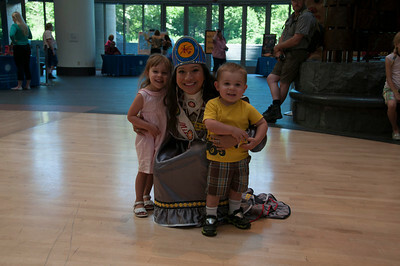 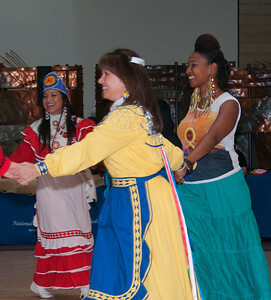 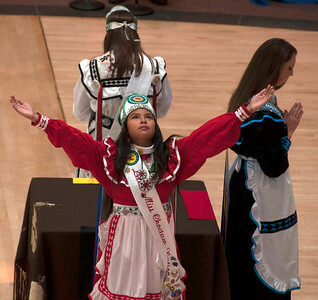 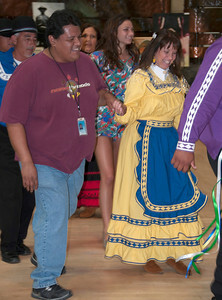 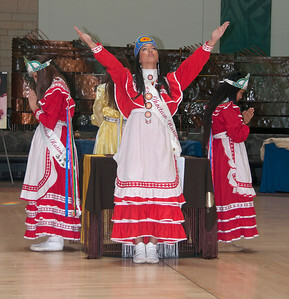 Little Miss Choctaw Josephine Gilmore during the Four Directions Ceremony. 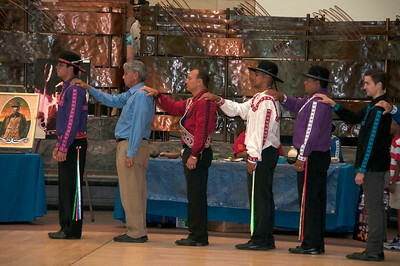 The Stealing Partners Dance comes to a close. 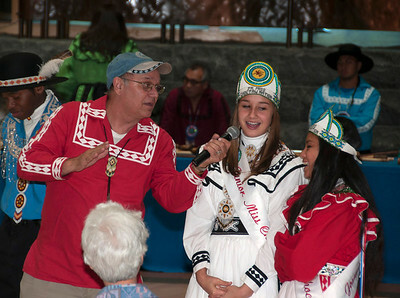 Tim Tingle gets Jr. Miss Choctaw Nation Cheyenne Shomo and Little Miss Choctaw Nation Josephine Gilmore involved in his storytelling. 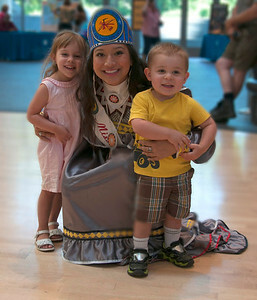 Hongmei of China marks her home country on the map. 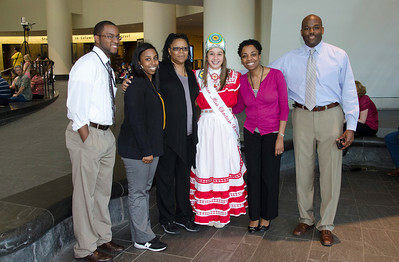 Department of Justice employees Josh Curry, Alicia Harmon, Nancy Janifer, Yohance Butler-Jackson and Paul Johnson visit with Junior Miss Cheyenne Shomo.